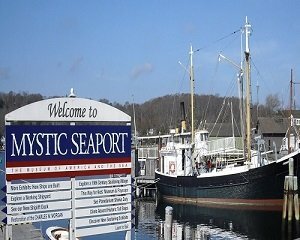 Home to the tall ships of Mystic Seaport and New England’s only beluga whales at Mystic Aquarium, the town of Mystic exudes New England charm. Shop one-of-a-kind shops downtown (with its landmark Bascule Bridge) or at the quaint Olde Mistick Village. 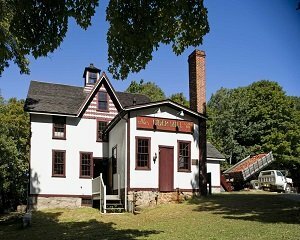 Adults will enjoy steamed lobsters on the dock; kids, the chug of the Essex Steam Train or a mug of delicious apple cider at America’s oldest steam-powered cider mill. Catch a play at a seaside playhouse, or catch a fish on one of our many charters. Enjoy impressionist paintings at the Florence Griswold Museum, or a splash of history at the USS Nautilus & Submarine Force Museum. Or just relax at the beach while the kids splash in the waves. The nation’s leading maritime museum. Explore American maritime history first-hand as you climb aboard historic tall ships, stroll through a re-created 19th-century coastal village or watch a working preservation shipyard in action. As New England’s hands-on aquarium, Mystic Aquarium offers unforgettable animal encounters, fun interactive experiences and dynamic learning opportunities for people of all ages. 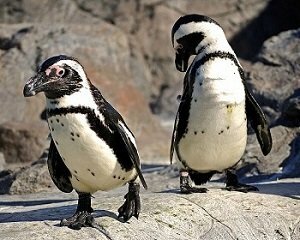 Sea lion shows, beluga whales and African penguins make it a special place, while deep-sea exploration exhibits make it one-of-a-kind. 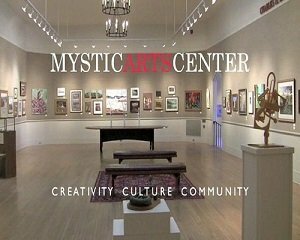 Mystic Arts Center houses a state-of-the-art education center, five art galleries and a permanent collection on a panoramic riverfront terrace and garden area with spectacular views of the Mystic River. 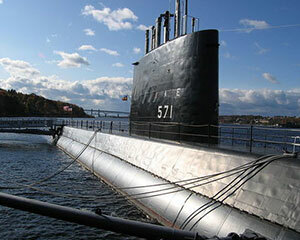 Home of the Nautilus, the world’s first nuclear-powered vessel and the first ship to go to the North Pole, The Submarine Force Museum traces the development of the “Silent Service” from the 1700s to more recent Ohio and Virginia class submarines. Step aboard the traditional sailing ship ARGIA for a relaxing sightseeing cruise. 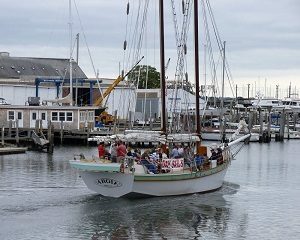 Enjoy a leisurely cruise down the Mystic River and smooth sailing in Fishers Island Sound. USCG certified. Located in Historic Downtown Mystic. 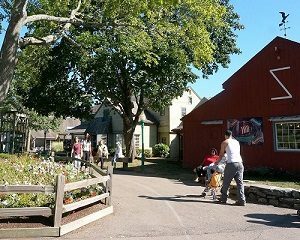 Westerly, Rhode Island is one of New England’s best-kept secrets and gaining notoriety as the ideal family vacation spot. 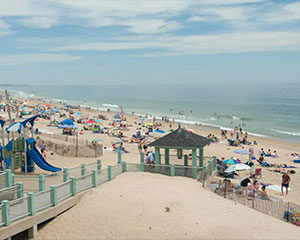 It features incredible beaches and villages that offer a diverse cultural scene, superb shopping and dining, historic architecture, and a plethora of recreational opportunities. 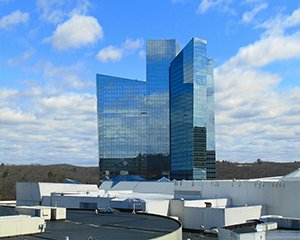 One of New England’s top destinations, Mohegan Sun is a regular stop for big name entertainers, has some of the area’s best dining and shopping…and, of course, gaming. Afterwards, you can rest up at a world-class hotel and spa. 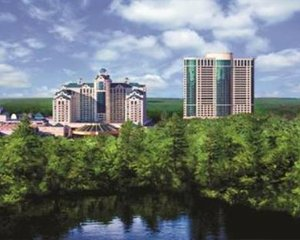 North America’s largest casino, Foxwoods Resort Casino has something for everyone as the East Coast’s premier entertainment destination. Gaming, shopping, dining, top-name entertainment in theaters of every size, two great spas — and when you’re ready to turn in, four award-winning hotels. Family-run since 1881, this is the last steam-powered cider mill in New England. Fresh cider made daily during the Fall. Bonded winery producing hard ciders and apple wines. 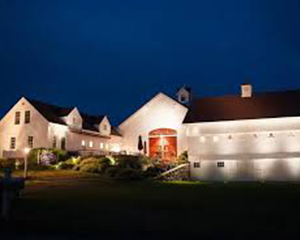 Welcome to Saltwater Farm Vineyard, South East Connecticut’s newest winery and event destination. Our Tasting Room hours of operation are as follows: Monday & Tuesday: Closed, Wednesday & Thursday: 11-5, Friday, Saturday & Sunday: 11-3. New England Charm. Napa Style. 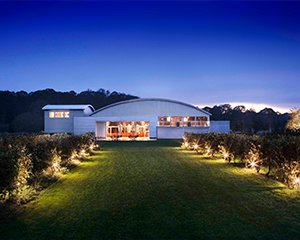 Jonathan Edwards Winery was created from the simplest of concepts – make great wine and enjoy life more often. Our Tasting Room is open 7 days a week from 11am – 5pm (*4:30pm on Saturdays May – October due to weddings). Vineyard tours every Saturday at noon. Now in its 45th year, the Olde Mistick Village has since grown significantly. Local residents and visitors from all over the world come to enjoy everything the Village has to offer. From its humble family beginnings, the beloved community of shops and restaurants has continued to operate out of love, from the Olson family to yours. 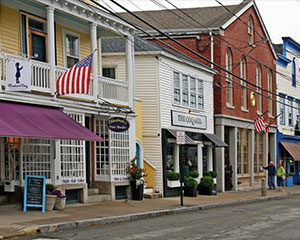 Historic Stonington Borough is a charming seaside village just minutes from downtown Mystic. Stroll quaint streets lined with unique galleries, antique stores, boutiques, restaurants and historic homes. 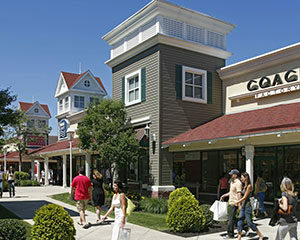 Find impressive savings at over 70 stores including Ann Taylor Factory Store, Banana Republic, Brooks Brothers, Calvin Klein, Coach, Cole Haan, Dooney & Bourke, J.Crew, Kate Spade, Kenneth Cole, Michael Kors, Nike, Polo Ralph Lauren, Saks Fifth Avenue Off 5th and more. 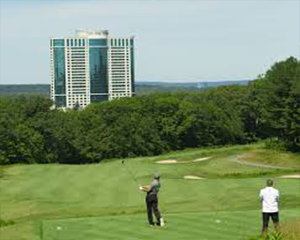 Located just minutes from Foxwoods and Mohegan Sun casinos and historic Mystic, Pequot Golf Club offers one of southeastern Connecticut’s most enjoyable golfing experiences for all golf enthusiasts. Gently rolling terrain and natural beauty await you as you wind through the Connecticut woods. The small undulating greens and tree lined fairways can challenge golfers of all skill levels. 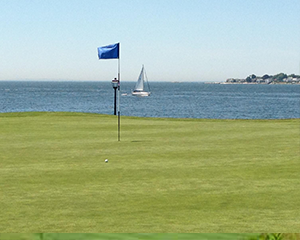 Pequot’s par 70, 18-hole layout provides an enjoyable and memorable golfing experience for all players. 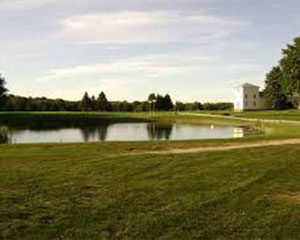 Lake of Isles features two nationally recognized courses designed by acclaimed architect Rees Jones. The expansive clubhouse is crafted in natural stone and stout timbers offering stunning views of the 90 acre Lake of Isles from almost any room in the building. The clubhouse is home to the popular grill restaurant, Matches Tavern, the elegant Pequot Village Ballroom, and an award-winning golf shop. The Lake of Isles Golf Academy features a state-of-the-art year-round teaching and training facility that is truly unique to the region. Managed by Troon Golf, the service and attention to detail provided is sure to exceed your expectations.